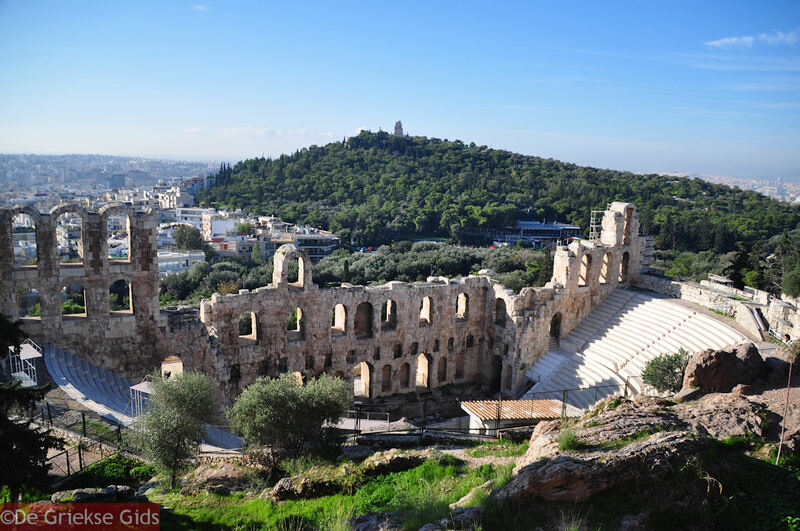 Herodes Atticus Theater Athens. 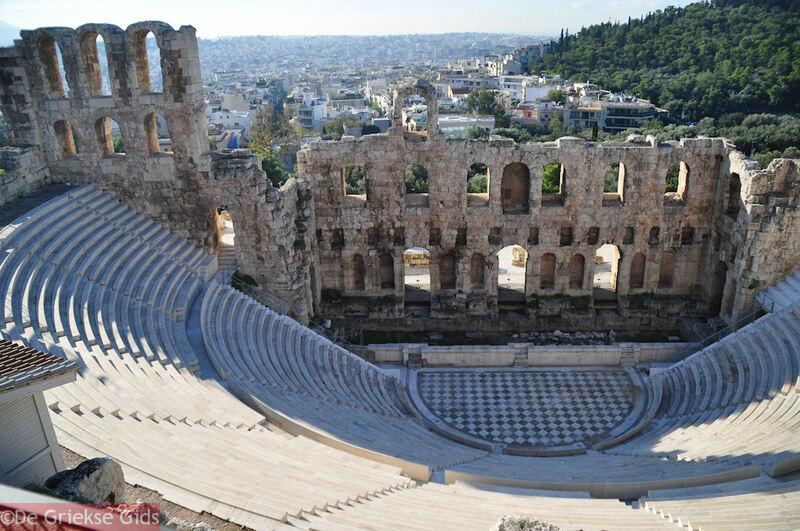 At a short distance from the theater of Dionysos is the Herodes Atticus Theater built in 161 AD. 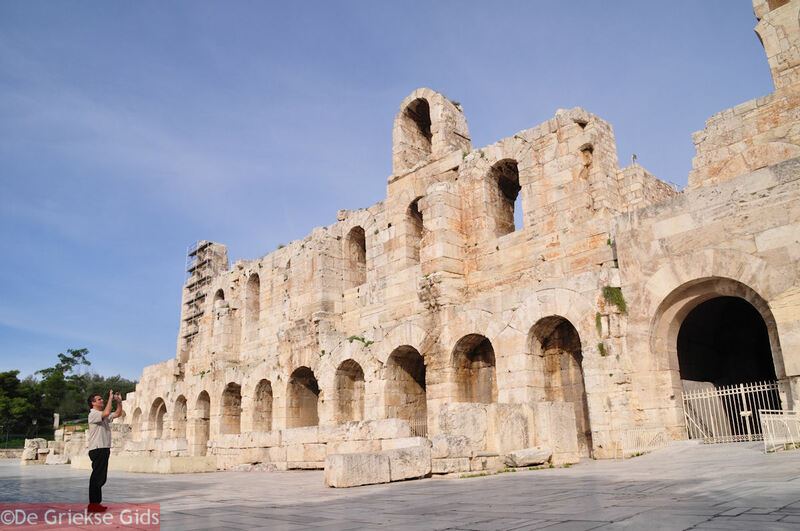 The Roman consul Herodes Atticus gave orders to sculpt the theater out of the rocks of the south slope of the Acropolis, in memory of his wife. 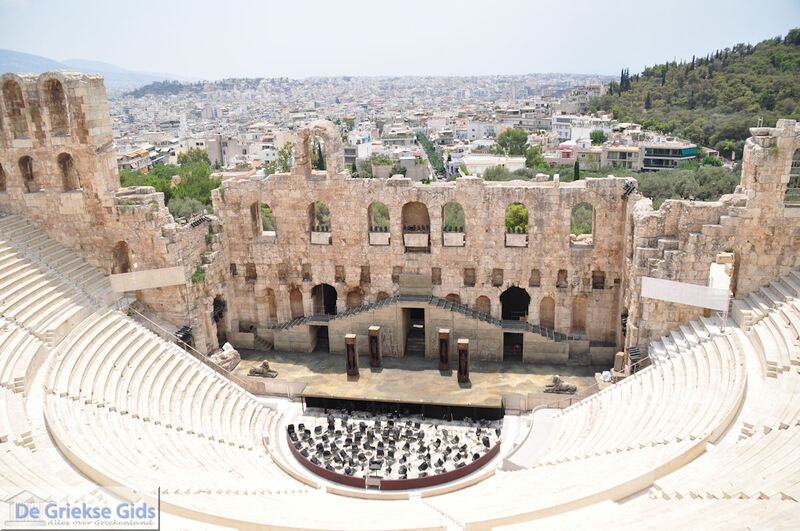 In 1955 it was restored and now it is used for outdoor concerts and theatrical performances. It seats 5000 spectators. 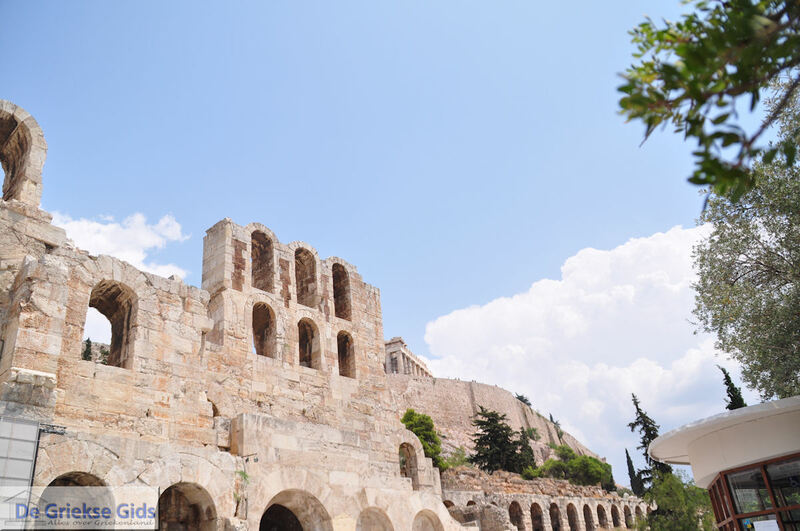 The annual Athens festival, which lasts all summer, includes international ballet, opera and theater companies uses this outdoor theater. 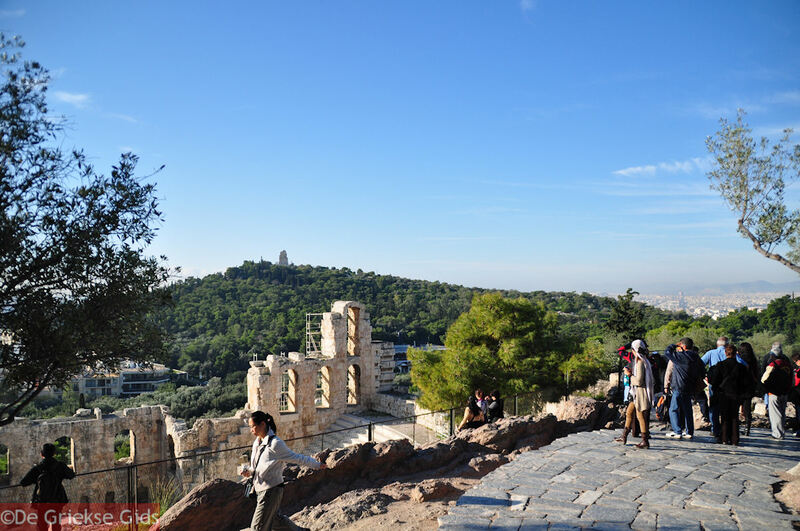 Famous Greek and international artists who have performed here include Yorgos Dalaras, Vangelis, Jose Carreras and Ennio Moricone. 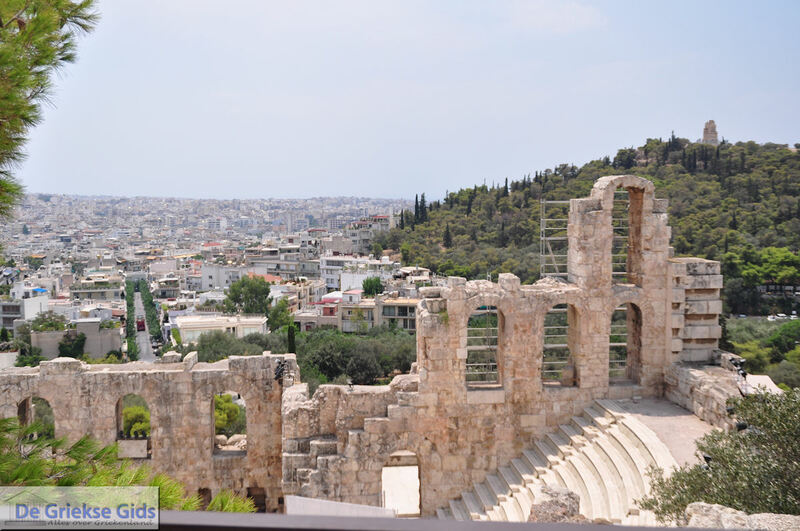 Herodes Atticus, also called Tiberius Claudius, was a rich man from Marathon who lived in Athens in the second century AD. It is said that his father "Attikos" found a treasure he inherited later. 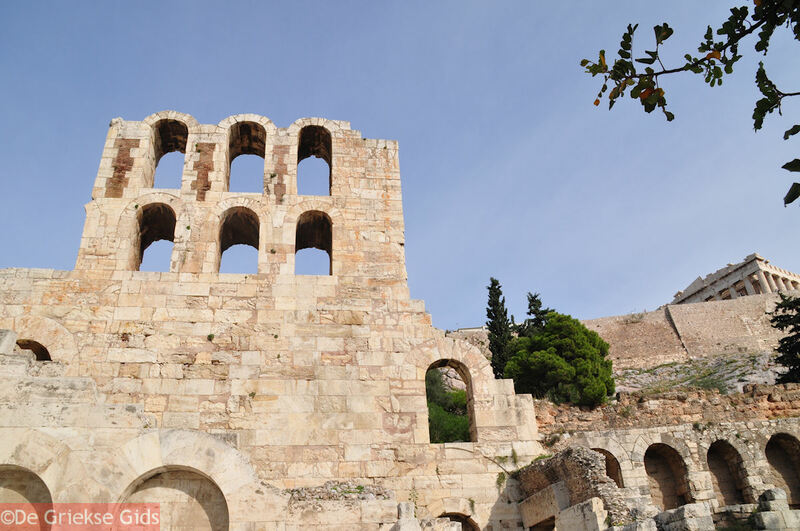 Herodes Atticus became famous because he was a benefactor and a great art lover. 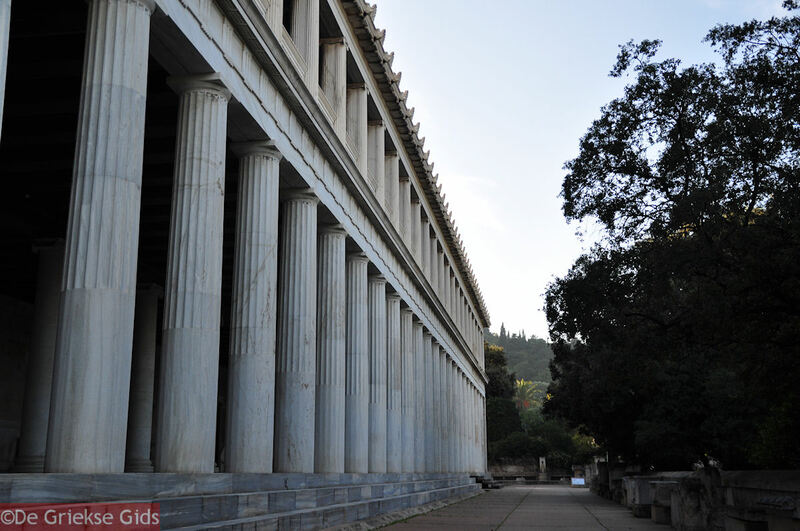 He spent the bulk of his fortune in beautification of works and artistic monuments. 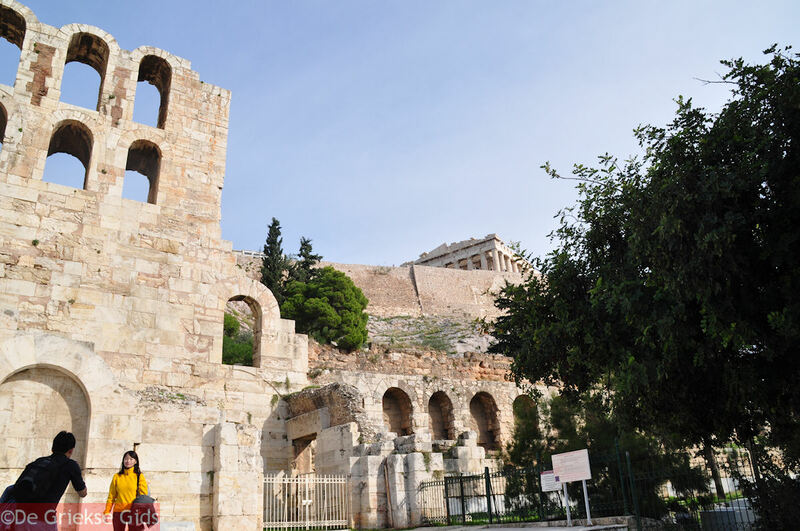 Apart from the Herodes Atticus theater, he also built the original Panathinaikon Stadium and other famous buildings. 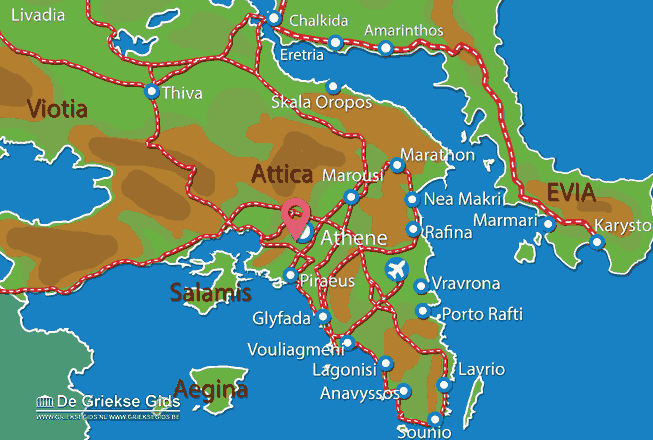 Attica: Where on the map is Herodes Atticus Athens located?